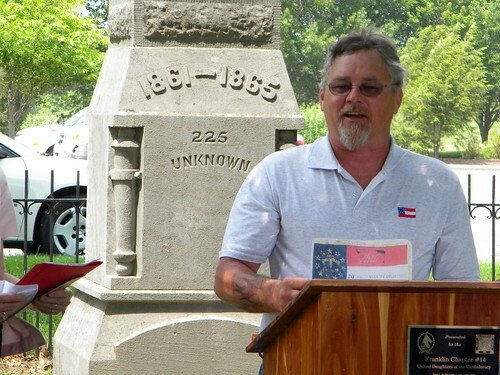 The United Daughter’s of the Confederacy, Franklin Chapter #14, hosted the annual Memorial service today at Carnton. 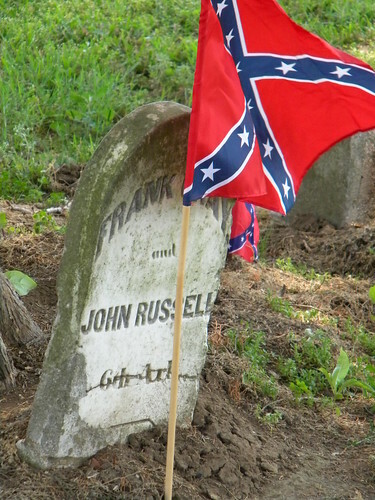 It was a blazing 94 degrees when Boy Scout Troop #137 arrived to install a Confederate flag next to each of the 1,500 markers in the cemetery. The Boy Scouts have been doing this for 30+ years according to John Green, Commander. Just as the service began the wind whipped up furiously. Here are a few sample pics of today’s service and here is the link to all 43 photos taken of the event. Video from today’s event will be coming soon, check back. 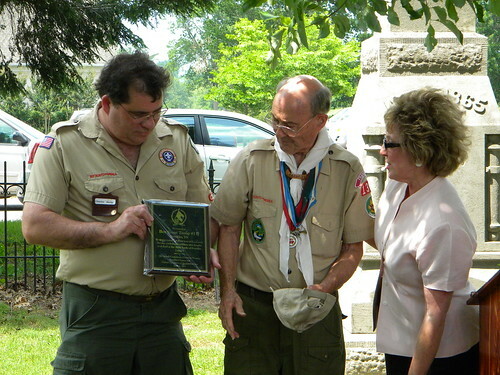 Boy Scout Troop #137 Commander John Green receives a plaque. 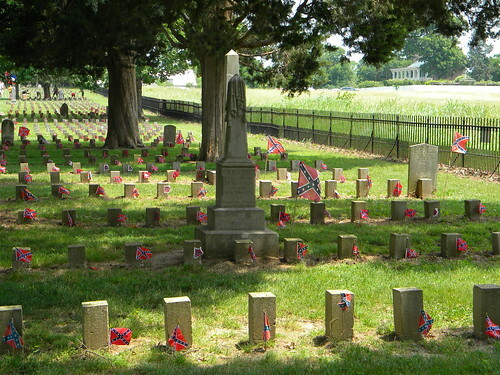 This entry was posted in Carnton, Confederacy, Confederates, Interpretation, McGavock Confederate Cemetery. Bookmark the permalink. 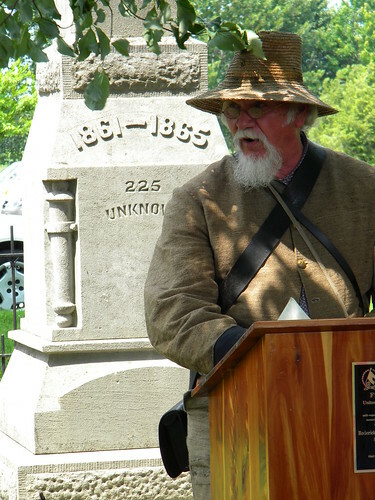 Recently my family and I visited Carnton. My wife is a decendant of Hugh McGavok so our interest in this family and Franklin is more then average. 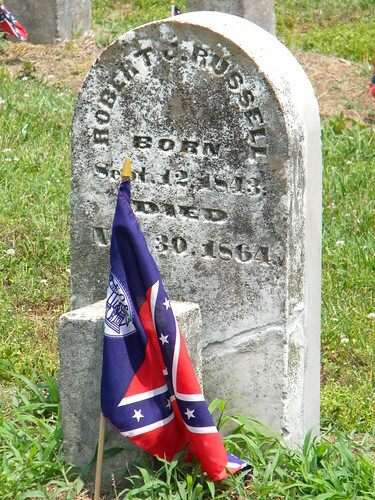 We attended the 140th Franklin Battle reenactment in October 2004 and I must say it was the finest reenactment that we have ever seen. Rarely do you see horse drawn Batteries in these events But, on this occasion the Southern forces had at least three guns race on the field, unlimber, fire a few rounds and limber back up and race back off the field. Just an outstanding exhibtion. Can we expect something close to this in 2014?